This wallpaper changer will monitor your chosen folder and recognize when new pictures are added or old pictures are removed. It will also recursively drill down through each subsequent folder checking for images. 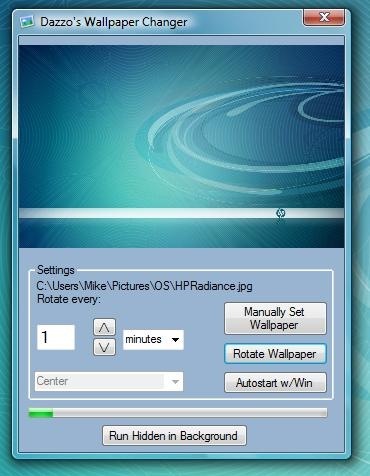 You can also set how often it rotates the images from 1 minute to multiple days. Here is a web site list with awesome wallpapers for iPhone. You can use them also like a iPod Touch Screen wallpaper. Of course if you have one 🙂 Enjoy! When Adobe acquired Macromedia, they re-branded the popular Macromedia Breeze service (for screen sharing and web conferencing) as Acrobat Connect. 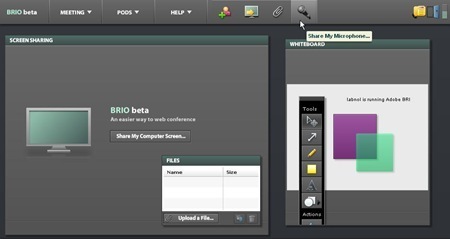 The next version of Acrobat Connect is code named Adobe BRIO – the interface is now very different from Macromedia Breeze and other good news is that Adobe Brio is completely free during the beta phase.